Looking back at the past 20 years, think how the energy industry has evolved. It used to be that a representative from the power company would walk the neighborhood once a month to take a reading of the rolling dial on your analog electricity meter and send it in to the office. With technological advancements like smart meters, these readings are now easier to gather electronically, and the information provided is easier to interpret—allowing homeowners to be more aware of their usage. And now it is possible to monitor your energy usage data in real time! A new initiative is under way in the United States called the Green Button. Green Button is based on the idea that electricity consumers should be able to download their household energy usage data securely and directly from the provider, in a standardized format. The initiative comes in response to a 2011 call to action by the White House to reduce energy consumption by 5–15% over the course of the next several years. This initiative is expected to play an integral part in reducing U.S. energy demand, and in helping the national electrical grid to move faster, be stronger, and respond more intelligently to that demand. Since the Green Button initiative launched, in January 2012, utility companies such as NSTAR, Pacific Gas and Electric (PG&E), and Reliant have implemented it in their service territories. Baltimore Gas and Electric, from the Mid-Atlantic region, will launch it this year. Other states with third-party access policies include Texas and Colorado. According to Green Button Data, the web site of the power industry-sponsored Green Button initiative, more than one million individual consumers have already downloaded their information from the Green Button. Currently the Green Button is designed to provide data for electricity, but it has the potential to provide data for gas and water usage as well. Figure 1. Example of the kind of data a customer can download using the Green Button. How does it work? Consumers simply log on to their utility provider’s web site and click the Green Button (see Figure 1). They can then download their own energy data in a secure and portable format. In the case of PG&E, customers can access 13 months of data as long as their energy usage has been tracked with a smart meter. The goal is to make it easy for consumers to make more-informed energy decisions—decisions that will reduce consumption and save money. The Green Button is also helping utility companies to eliminate wasted energy dumped onto the grid. Power companies can deliver less energy more reliably if they know how much energy is actually being used and when. 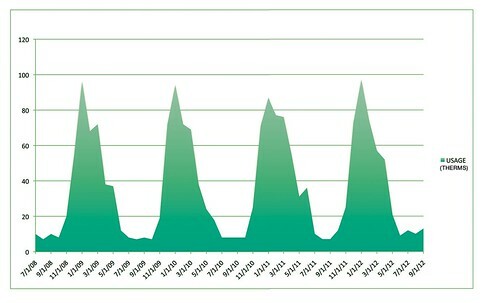 The information accessed from the Green Button could reveal when energy is consumed most often, prompting a price increase on electricity during high peak times. For example, when consumers become more aware of their energy use patterns, they can program their smart thermostats to raise temperature settings during peak demand periods in the hot summer months and lower them in the winter. Consumers can also switch dishwasher use and clothes drying to low-demand periods, when electricity costs much less than it does during peak demand periods. Customers will be able to choose these and many other options when they have detailed records of their electricity consumption. At the district and regional levels, consumer energy usage data, as well as consumer load profiles, can be accessed hourly, monthly, and annually to see how energy conservation is affecting the energy industry as a whole. This information is useful for home performance contractors, energy auditors, program managers, energy officials, and manufacturers of energy-efficient products. The first step in the Green Button initiative is to get information to the people who need it. The second step will be to tie that information to actual energy savings in real time. Currently, an XML schema provides energy bills in a static, machine-readable form. The 2.0 version of will offer a Green Button connect function, where dynamic information will be available for approved vendors. This function will provide consumers with more insight and information; utility customers can use the data themselves or share the data with a designated third-party representative. This will encourage customers to become more aware of their energy use and will encourage innovation among third parties for new customer-focused applications. Many organizations and companies in the energy efficiency business can serve as a third party in this scenario. They can teach utility customers how to reduce energy consumption and provide them with energy-efficient products and services. For example, Green Button apps are currently available that use customer-downloaded Green Button data to help influence consumer behavior in regard to consumption. App functions vary as consumers vary. Apps allow customers to receive energy efficiency tips, perform a virtual energy audit, make solar decisions, and more. With this information, consumers can choose more economical and cost-effective rate plans for their energy usage. An industry-leading company joining the Green Button initiative is greeNEWit, an energy solutions firm based in Columbia, Maryland. greeNEWit provides energy-saving upgrades to single- and multifamily homes. With more than 20,000 of these upgrades completed, greeNEWit plans to use Green Button data to assess accurate energy savings data for projects now under way. Until now, energy auditors and home performance contractors relied solely on the customer to share energy savings data with them. With the Green Button, greeNEWit, and other companies can access customer savings data and compile these data in real time. In addition, greeNEWit plans to help market the Green Button to customers. And it plans to raise customers’ awareness about energy education and the positive impact of energy-saving retrofits by showing customers the savings that they will realize by implementing a given measure. According to Opower, a new customer engagement platform for the utility industry, 30 million homes are expected to have Green Button access by the end of this year. Opower was the first vendor to build the Green Button for PG&E and to deploy download access to the utility’s five million residential customers. Opower is now adding the Green Button function for several other utility partners and has committed to supporting Green Button in its social application. Utilities provide Opower with usage data and Opower combines these data with weather data, occupant data, parcel size data, and other third-party data to create a profile of a customer’s home. More than ten million utility customers currently have access to Opower’s platform, which includes home energy reports, web portals, and e-mail alerts. Opower provides customers with insight into their energy use, and comparisons between the customer’s energy usage and that of similar homes in the neighborhood. And Opower has worked very hard to measure the impact of its work. “During the first five years, we’ve helped families save a total of 1 terawatt hour (equal to 1 trillion watts) of energy—enough to power 90,000 homes for a year and cut bills by more than $100 million,” Gerney says. While rapid adoption of the Green Button initiative is projected to occur, consumer education and awareness are big hurdles in the energy arena. Most utility customers spend very little time thinking about energy consumption, other than to pay a bill each month. This is mostly because consumers believe there is little they can do but pay the bill. Educating customers about the benefits of energy efficiency, and creating an awareness that the Green Button exists to help customers self-regulate use and save money, is critical to the success of the industry-led initiative. As the economy tightens and every penny becomes more important, consumers will value the savings they can achieve by smarter use of energy in their homes. Simply put, the Green Button gives customers access to data about their energy usage. And as customers learn more about when and how they use energy, they will be motivated to save money wherever they can. Utility providers will be motivated to invest in improved services to maintain their client base. Currently the energy market receives funding through the federal government. As the Green Button provides the industry with actual energy savings data, this will allow the industry to access private capital funding to continue the growing the market for building energy efficiency upgrades. The Green Button initiative is a small but very important step in working toward a more efficient smart-grid system. 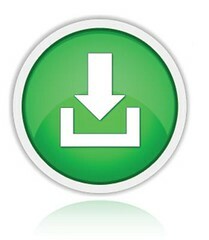 To learn more about Green Button, go to www.greenbuttondata.org. For more on greeNEWit, go to www.greenewit.com.